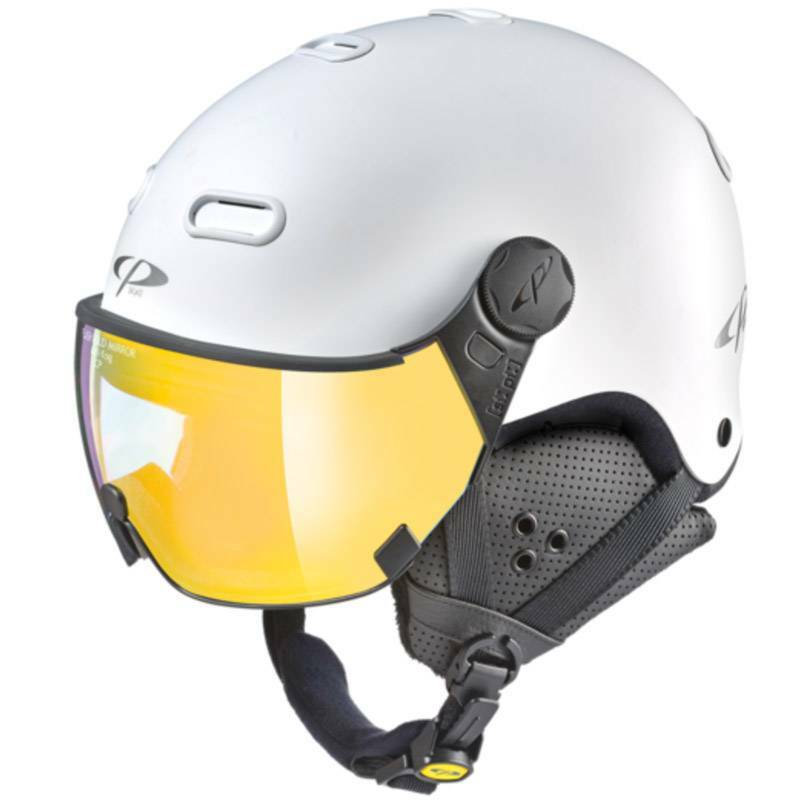 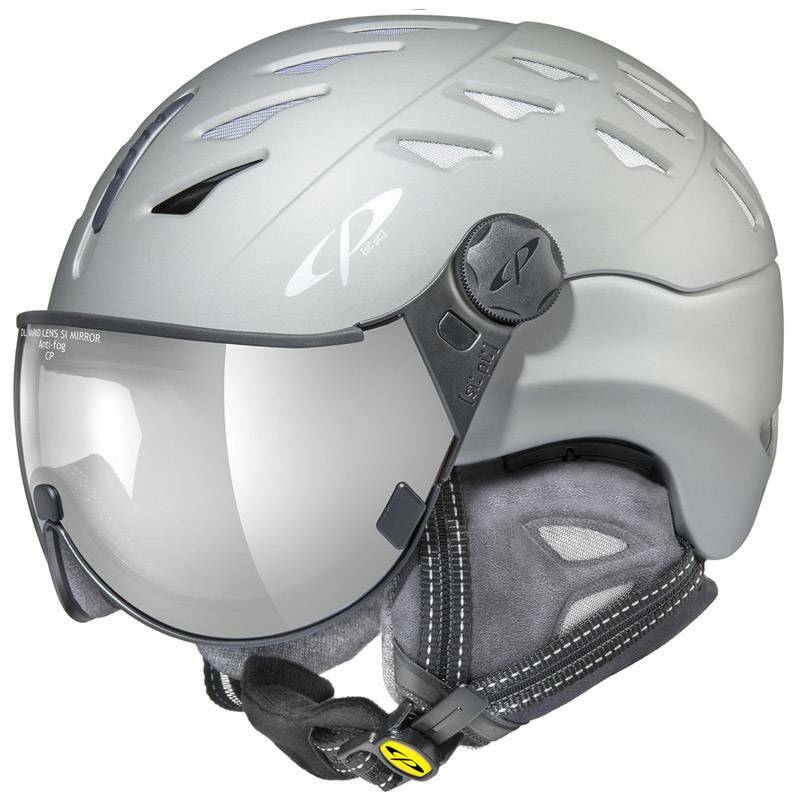 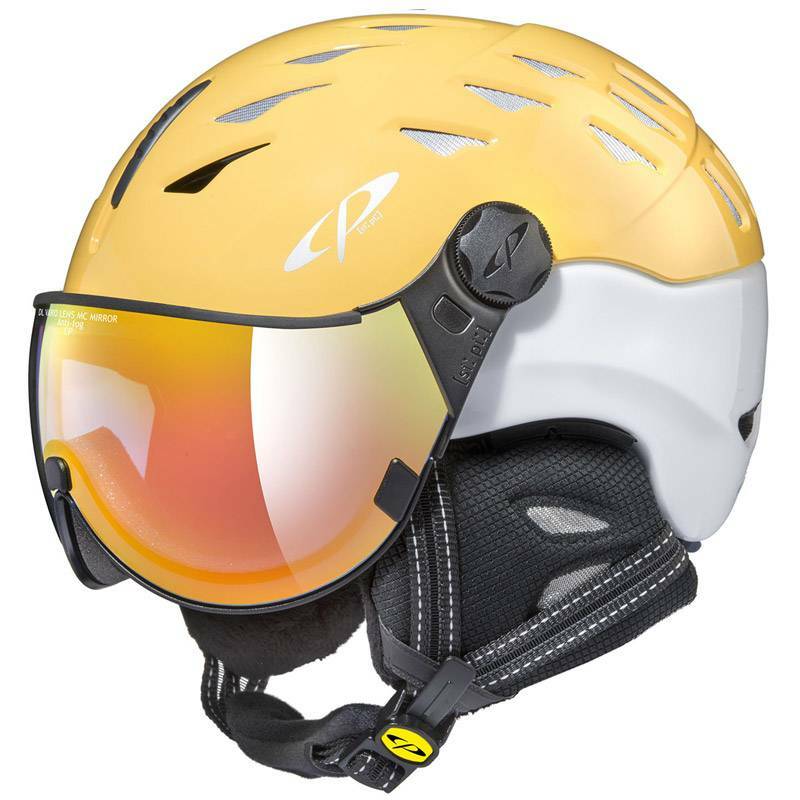 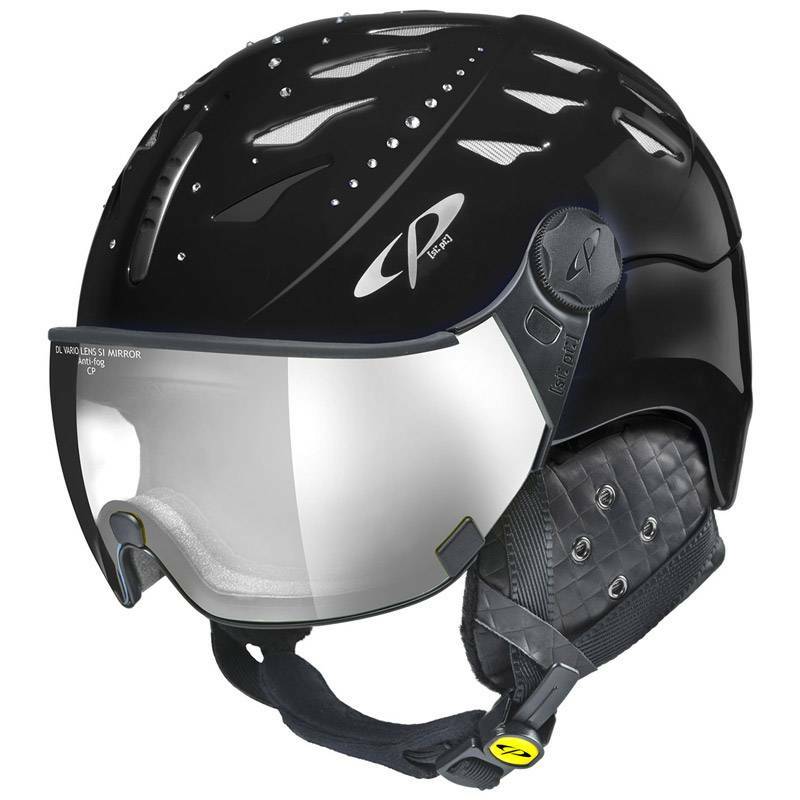 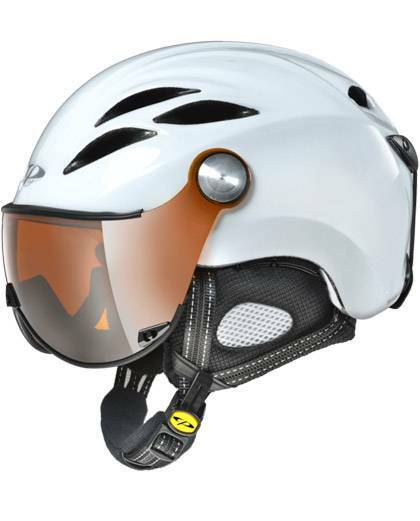 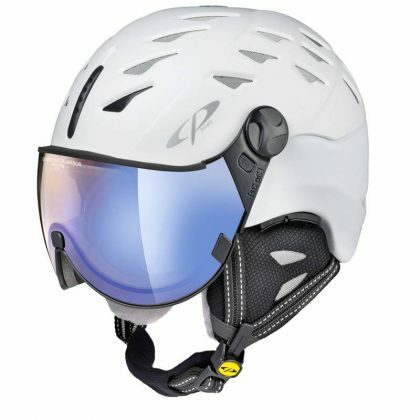 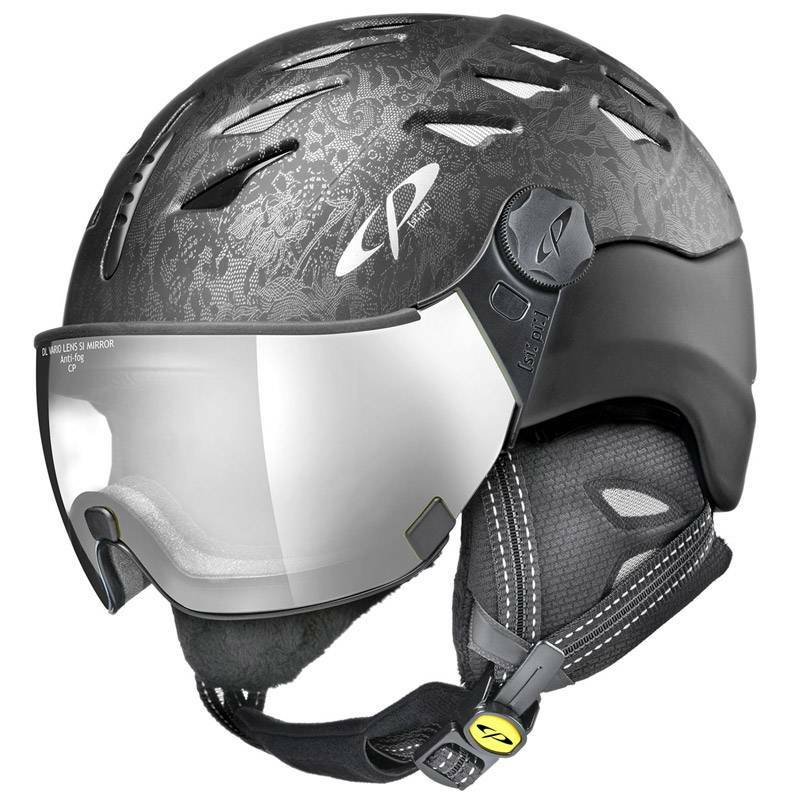 The Cuma White ST #340 is CP’s latest all in one Visor Ski Helmet and has an enticing and non compromising style. 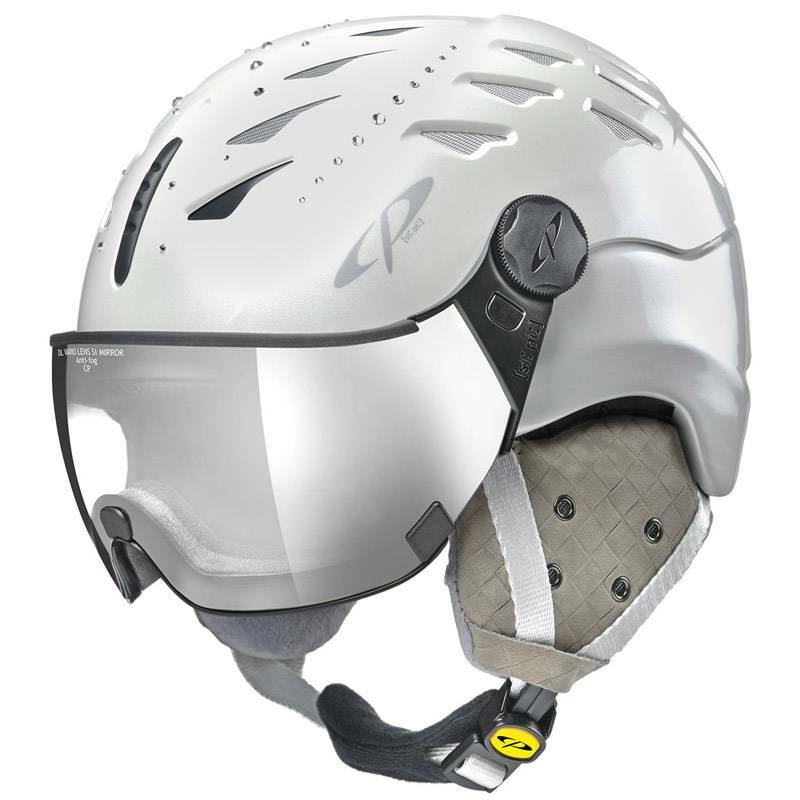 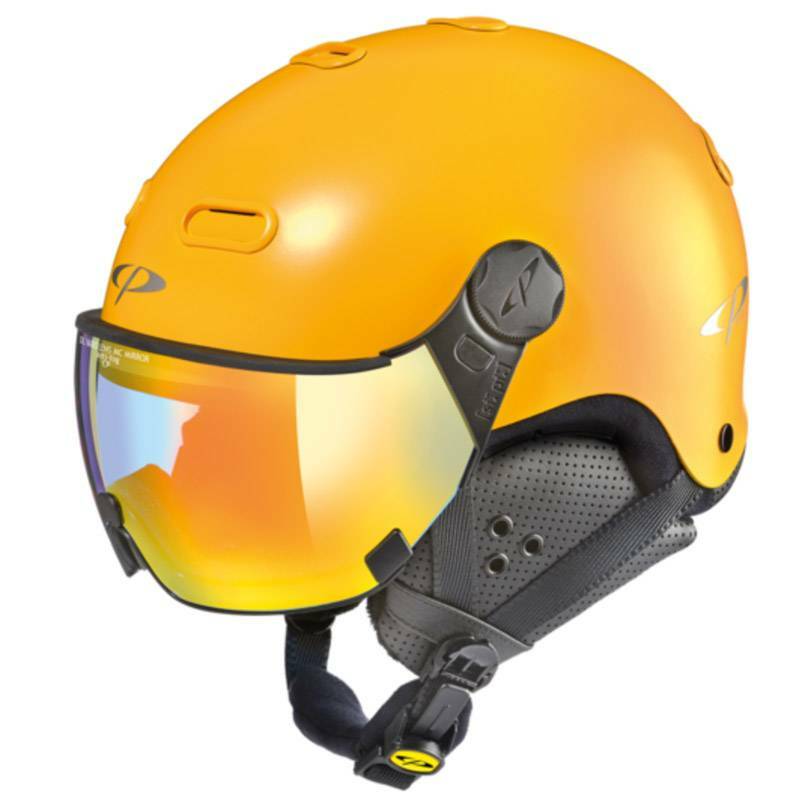 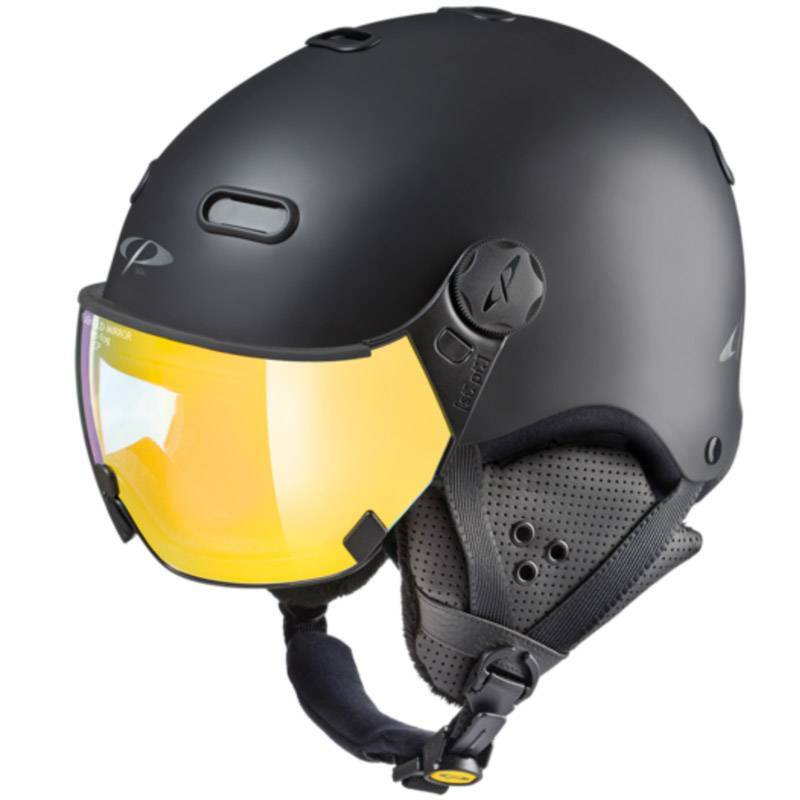 Its cool sporty exterior hides a state of the art sophisticated adjustable ventilation and comfort control with CP tex material that keeps the water out and is breathable making this the most comfortable helmet of all. 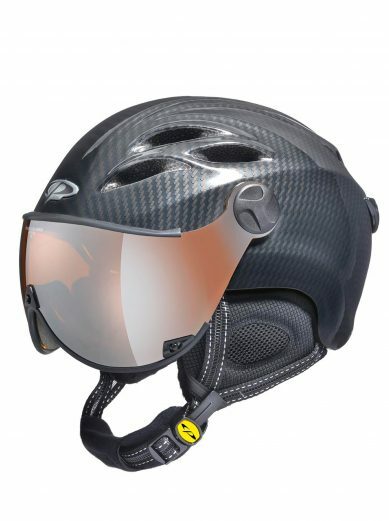 Its looks makes a bold statement with its black on black shell that pops against all three available visor colors. 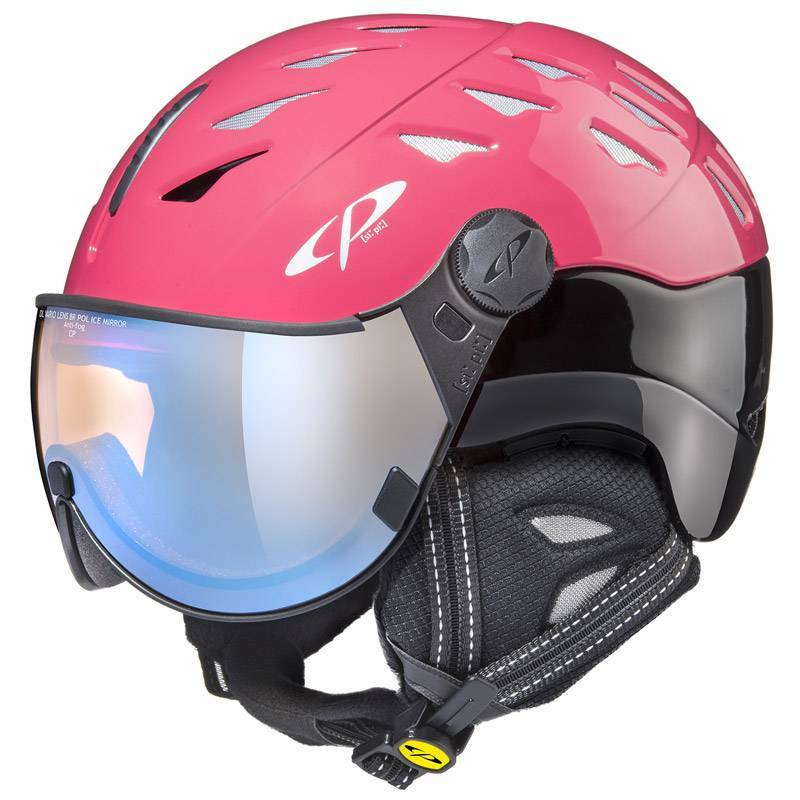 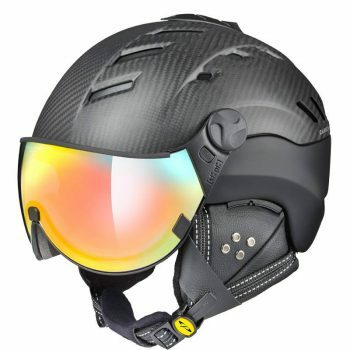 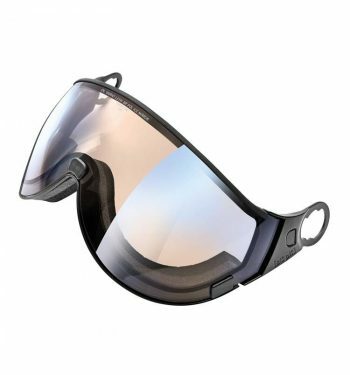 If you are interested in a visor that is not offered in combination with a certain helmet model (remember any CP visor fits all adult models) please select and purchase the visor by clicking on the pull down menu “CP ski helmet visors” and we will send it to you with installation instructions.